This chain necklace, featured on the Fall/Winter 18 runway, is hand-crafted from sterling silver and features an oval pendant made with black enamel and cubic zirconia. Reminiscent of Art Deco style, the pendant takes inspiration from the iconic architecture of New York City and is finely engraved with the intrecciato pattern on the back. 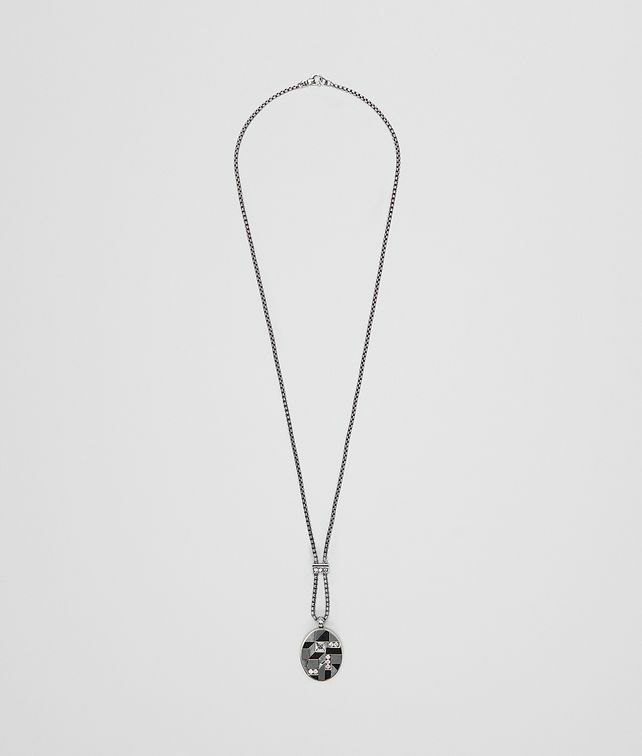 A cubic zirconia-encrusted silver bar gives a subtle Y-shape to the necklace, which is finished with a hook fastening. Length: 68 cm | 26"
Pendant: 5.4 cm x 3.4 cm x 2.7 | 2.1" x 1.3" x 1"